If you have installed a tracking system for your fleet of vehicles, you already know how the system is helping you improve the efficiency of your fleet. However, did it ever occur that the advantages of a tracking system might go beyond just vehicle monitoring and fuel saving? The tracking system can help transportation companies or any business utilizing a large fleet of vehicles save thousands of dollars. And no, we are not talking about reducing fuel expenses here. “But tell me how a tracking system can save my money?” is what you may be thinking. So, a tracking system can help you save your hard-earned money by preventing employee TIME THEFT. Time theft should be a high concern for you and your business. GPS Tracking System will show you why you should be concerned about time theft and how a fleet management systems can help you curb down incidents of time theft. What is Employee Time Theft? A little background first. “How can someone steal time? Last time I checked, time used to free.” In the realm of businesses and corporations, time theft does happen. It happens when someone is getting paid for the time that they didn’t actually work for. Confused? Let’s break it down. So consider this scenario. Your employee claims that he worked for 10 hours, but in reality, he spent most of his time on Facebook and socializing with his co-workers. But, since you have no means to monitor the activities of your employees, you end up paying for unproductive hours. Even worse, you have no means to stop this. Time-theft might not appear a serious issue when you only have a couple of workers. But, what if you have 15 employees and a few of them resort to such means? Time theft at work is a critical issue and companies are wasting billions of dollars by paying for unproductive work. How has the fleet management industry suffered due to employee time theft? Increase in operational costs due to employee time theft. Reduced productivity of the business. Paying for work that hasn’t been done. Reduction in the number of trips per day. Quality of customer service goes down, as a few employees don’t work in a timely manner. What can a tracking system do to prevent this? An efficient tracking system can bring about a sea of change in the way you monitor your fleet. 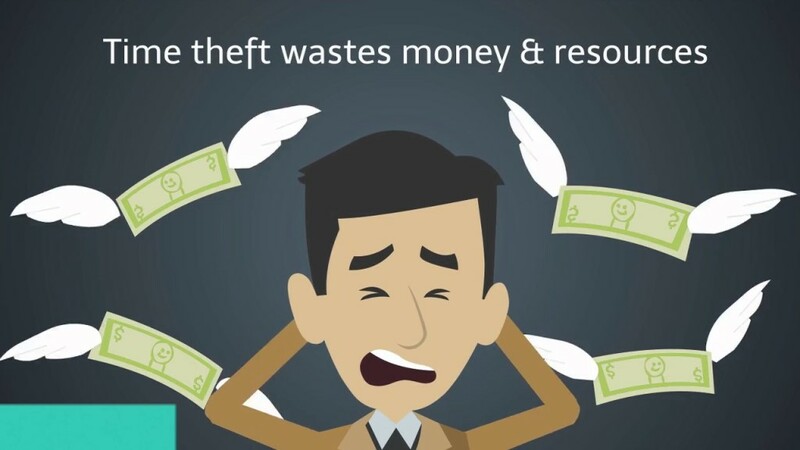 Let’s explore how it can prevent employee theft. A tracking system can help you locate your vehicle in real-time. You will be able to see whether your vehicle is moving or idle. In other words, you will know whether your driver is responding to service calls. With a tracking system, you will also be able to figure out if your vehicle is within the service zone. In case your vehicle is out of your operating zone, it’s a no brainer that your vehicle is being used for personal reasons and not for work. You can also get data on the Engine start time and shut down time. It goes without saying that these data will help you determine whether your employee is stealing time. A tracking system will also throw light on the driver behavior. In case of anomalies, the fleet managers will be able to take corrective actions. So, a tracking system coupled with fleet management can help your company prevent incidents of employee time theft. Make the smart choice by choosing telematics and fleet management software to improve the productivity of your business.